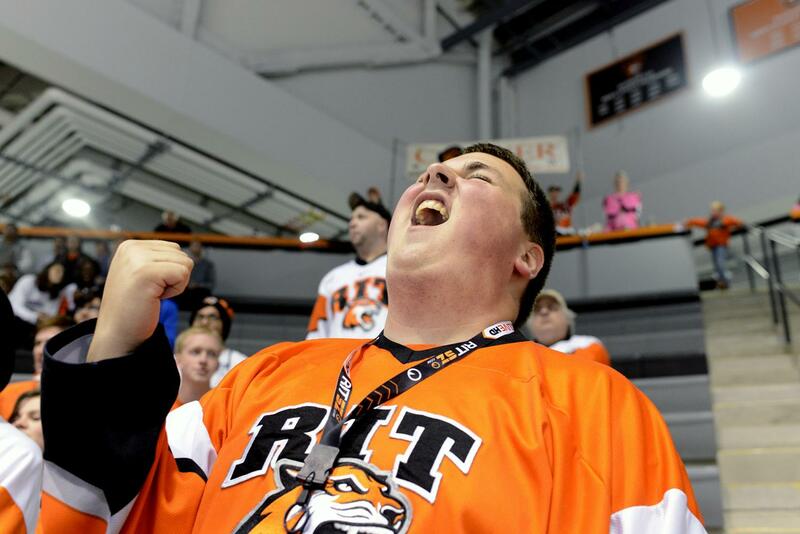 Ritchie sat down next to me and put his arm around me as we enjoyed our first Saturday afternoon watching RIT’s Women’s hockey team together. I soaked in my experience as an athletic supporter at the new Gene Polisseni Center, which is notably more professional-feeling and warmer than the Ritter arena. As much as I’d like to credit their victory to the 5-year-old boy screaming “RIT” and “TIGERS” interchangeably the entire game, there is no doubt these ladies have some serious skill. After an exhibition game loss on September 29 to the Pursuit of Excellence, a Canadian hockey academy, the Tigers kicked themselves into gear for when the games started counting this weekend. They will be going into the third game this season with a record of 2-0. The first two periods of Saturday’s game remained impressively scoreless. Defense strategies by both teams blocked the other’s power plays. 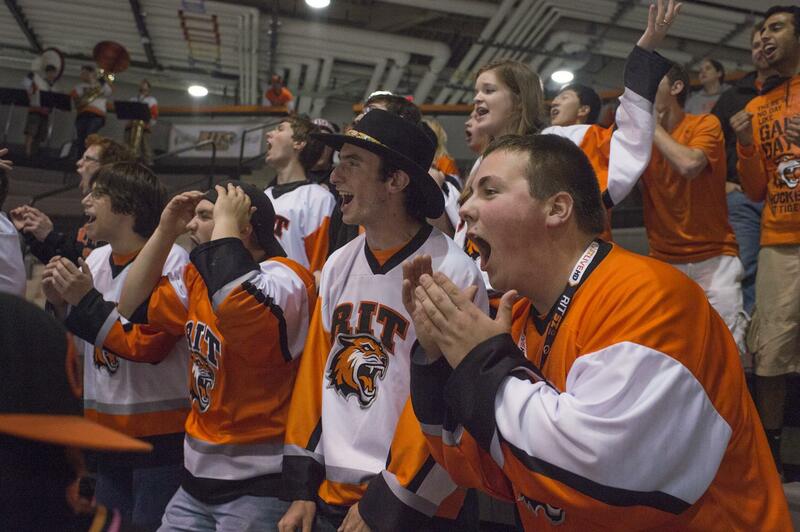 The Tigers roared Union College's Dutchwomen off the rink, despite having quite a few penalties. The Tigers won both Friday and Saturday night’s games against the Dutchwomen from Schenectady. The game remained scoreless until the third period. Fourth year Sociology major Celeste Brown made the first goal with about three minutes left in the game, with the assistance of New Media Marketing major Carly Payerl and Haley Northcote, a third year Biomedical Sciences major. Predicting that the final score would be 1-0, Payerl had an empty-netter with less than 40 seconds left in the final period, guaranteeing the Tigers’ victory. Goaltender Ali Binnington, a fourth year Finance major, saved a total of 32 shots on goal throughout the game. She impressively combated every attempt by the Dutchwomen. This weekend, she blocked 51 out of 52 shots on goal for both games. 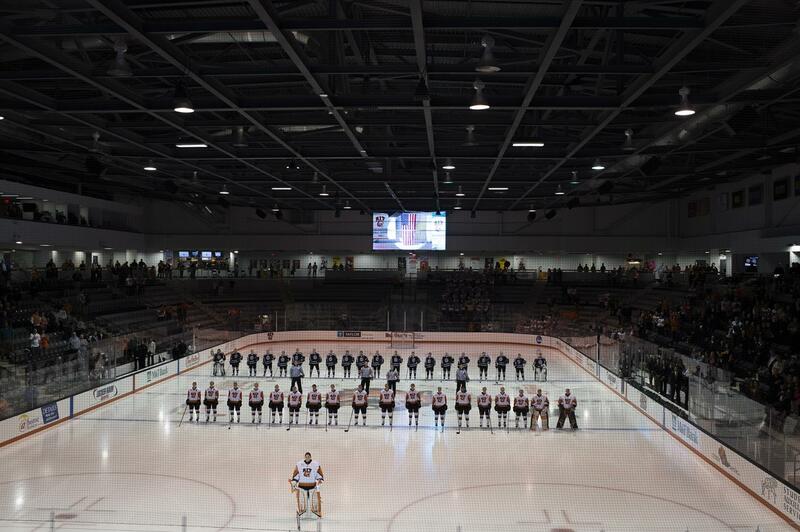 With their strategy, skill and grace, the Tigers should be playing to more packed houses in RIT’s beautiful new Gene Polisseni Center. 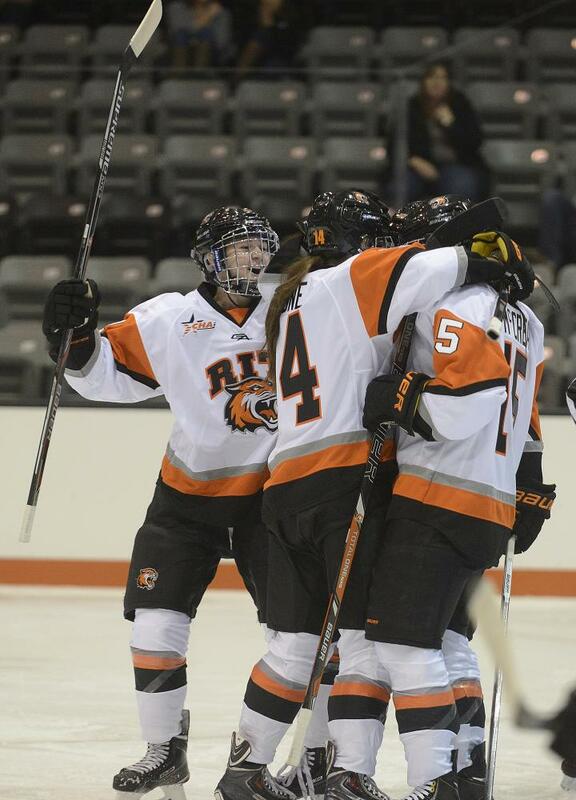 They will be playing University of New Hampshire this Friday night and Northeastern this weekend at the RIT-hosted OneSpirit Global Hockey Festival. Before the women’s game at 3:00, there will be a huge tailgating event in the parking lot of the Polisseni Center. In the innovative spirit of RIT, we will be connecting to international campuses in Kosovo, Dubrovnik, Zagreb and Dubai through technology, as each campus celebrates independently, but together. Although we will all miss the intimacy and possibility of being hit in the face with the puck at the Ritter Arena, the new Polisseni Center is much more fitting for our Division 1 hockey teams. You might even get a chance to snuggle up with Ritchie, too.